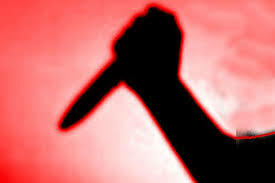 Police Report: A man in the outer side of Delhi was stabbed and killed in front of his wife, he was stabbed by two of his friends after a brawl happened over a small thing. Both the victim and accused had criminal records, the stabbed man was identified as Deepak a resident of Delhi’s Nangloi area. After the incident, the Nangloi police station was called on 3:28 am and was alerted of the incident. The wife said that Deepak returned from Hardwar on Wednesday and 2 of his friends decided to visit him. After eating their dinner, Deepak and his friends decided to drink liquor together, the wife said they were just having normal conversations until a brawl broke out between the friends, and suddenly a friend stabbed Deepak in her front and left the scene as fast as he can. Deepak was brought to the nearest hospital where the doctors declared him dead upon arrival. A team has been formed by the Nangloi Police and is currently finding the two friends.